STEP 1 Locate your meter. STEP 2 Lift the protective cap on the meter. On the face of the meter, there is a large dial and a display of numbers. 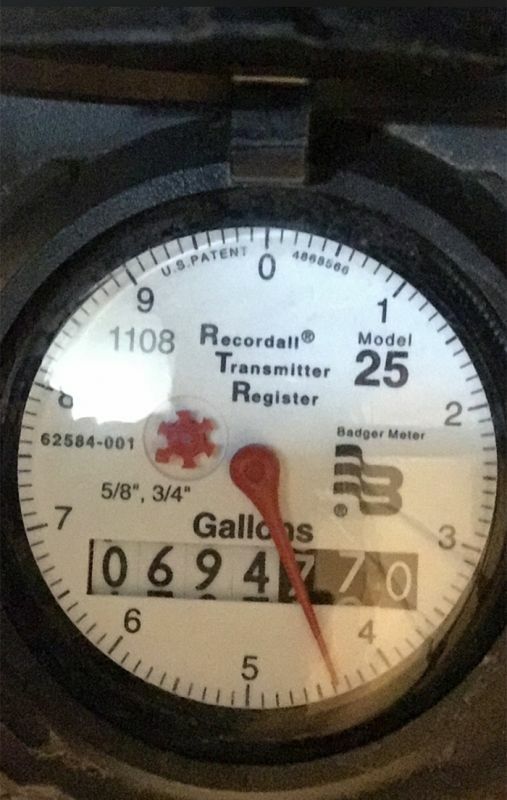 For the residential meter, each rotation of the dial measures 10 gallons. Read the number display from left to right. Be sure to include the stationary zero. This is your meter reading. Meters measure water in gallons. Charges for the amount of water consumed are in thousand gallons. STEP 4 If you think you may have a leak, the red dial should not be moving if there is no water being used.